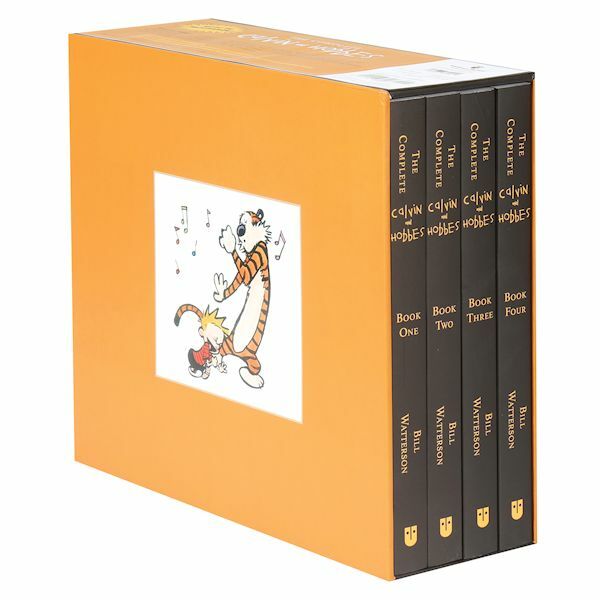 A New York Times bestseller in its paperback form, this new compilation puts one of the most universally loved comic strips of all time affordably into your hands. Calvin and Hobbes told the simple tale of a boy and his tiger, and just how much chaos, goofiness and transmogrifying two rambunctious little guys can concoct. Includes every syndicated strip from 1985-1995. Paperback; 1456 pages in 4 volumes.